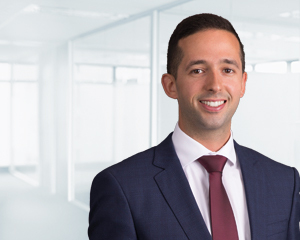 Alex Baroukh provides tailored investment advice to clients in both in Sydney and Newcastle aided by the guidance and experience of Dixon Advisory’s Investment Committee. Alex keeps in regular contact with his clients to help build strong relationships and ensure he understands their attitude towards risk and changes in their situation over time. He believes that constantly changing market conditions mean that clients benefit from the Investment Committee’s continual search for new opportunities. “Dixon Advisory provides each client with access to the experience and expertise of our Investment Committee. My role is to tailor the Investment Committee’s advice to suit clients’ needs and investment objectives,” Alex said. Part of Alex’s role is an educational one, helping clients understand risk and moderating that risk in their portfolio through diversification across a range of asset classes, but also within each asset class. Alex holds a Bachelor of Commerce (Actuarial Studies and Finance) and a Bachelor of Economics from the University of NSW. He also has a Diploma of Financial Planning and is accredited by the Stockbrokers Association of Australia.